4 hours of video, including exclusive Tour Documentary, and over 3 hours of audio. 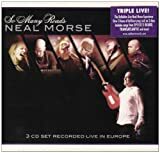 Another live DVD's for Neal Morse that contains the usual components: Lot of music, long songs, a festival of medleys and preachy lyrics. The guy open his heart to the crowd and talk about his life where Jesus always have a big place, which give some emotional moments where some tears comes out of Neal Morse. Like all his DVD's, it's a small venue with a lot of close ups that gives the impression that the band is in your face. 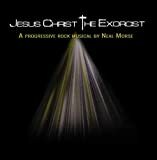 But this time there is some new musician that fit perfectly in the Neal Morse's formula. There is a lot of songs from the latest Momentum's CD, plus medley of Testimony, Question Marke and some songs from others CD'S. The NY crowd is enthusiast, maybe because Neal and Mike Portnoy knows how to entertained a crowd. The formula of the music here is the same : long symphonic songs, with multi-movement parts that links together the quieter acoustic passages with the more heavier electric ones. So nothing to say wrong about the the performance or the DVD quality, just a bit of little boredness at times , because i have heard a lot of times something similar in his music, like i have the impression that he plays the same song over again with some minor changes. But there is a lot of high emotional moments that you keep enjoying that make you realize that the man is a genius despite the lyrics that i found too preachy, but if it's give him inspiration to make a cd and a tour each year why not. But the next time he does another DVD/CD that you have to pay big bucks to get it, i may pass this time et wait for the next Spock's Beard instead. One of the disadvantages of living at the end of the world is that these days I get most of my promos as downloads, which generally isn't too much of a pain but here I find myself reviewing a DVD set where I haven't actually seen the DVDs! Okay, so this has been released as a double DVD (more than 4 hours), along with a triple CD set and it is the latter that I am reviewing. This recording took place on October 11th, 2012 at The High Line Ballroom, New York, and captures the band in incredible form. I have no idea how many live recordings of Neal there are in my collection, from duetting with NDV through Spock's Beard and Transatlantic and of course his solo work, but there are one or two. I have seen him in concert with SB as well as on the 'Testimony' tour and have had the privilege of interviewing him a few times as well, so I guess you can say that I am a fan. I greatly respect the way that he decided to stand up for what he believed in (even though I don't share those beliefs), although I still regret that SB never had the chance to tour 'Snow' which is easily their finest work. I have never given anything that he has been involved with a bad review, and there is no reason at all to start now as this triple CD set (2 hours 45 minutes) is as close to perfection as one could hope to hear. When it came to choosing the musicians to form the band he brought in close friends Mike Portnoy and Randy George and then used YouTube for the audition process! He ought to do that more often, as during "Sing It High" he gets it right when he says that the guys are "Sick". Adson Sodré (guitar, vocals), Eric Gillette (guitar, keyboards, percussion, vocals) and Bill Hubauer (keyboards, violin, sax, vocals) do a stunning job. Mind you, it's handy when you have three multi-instrumentalists in a band as it does mean that you can spread the wings. Vocally they are all in fine voice as well, just listen to "Author Of Confusion" to see what I mean. 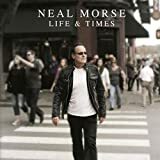 Both Adson and Eric really riff and shred as the need requires, and this is probably the heaviest that Neal has ever sounded as he works his way through material from throughout his career: this is much more than just a live rendition of the latest album. The suites from 'Testimony' and '?' work incredibly well and it is the longer sections that really allow Neal and the guys to shine. There are four songs more than twenty minutes long and one more than thirty! But, for me one of the major highlights sees Neal taking a back seat, literally. 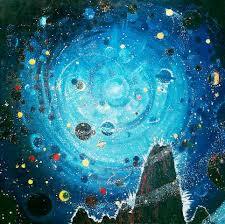 One of my favourite live albums that feature Neal is 'One Night in New York City' by Yellow Matter Custard. This was a band put together by Mike Portnoy to play Beatles' numbers, and the line-up was completed by Neal, Paul Gilbert and Matt Bissonette. 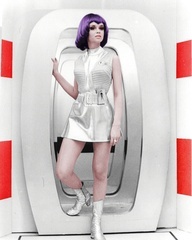 The whole purpose of that band was to provide a new take on classic numbers and have fun at the same time. Well, on "Crazy Horses" Neal takes over on drums while Mike becomes the frontman, and everyone has an absolute blast. Mike says that when he first heard the song when he was five years old that it was the heaviest song that he had ever heard, and the band certainly do it justice. I defy you to listen to this and not smile throughout. There are some people who don't enjoy what Neal does, and feel that he hasn't dramatically changed since he left SB, but I sincerely hope he keeps going in this vein for the rest of his very long career as I love it. 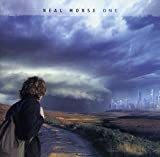 Neal Morse is one of my favourite artists and he delivers so much with every album but his live albums seem to be the pinnacle of his craft. I ordered this one some years ago and it was a gift to me at the time. It is a massive package with 2 DVDs of awesome live material and the whole concert available as a 3 CD set to treasure. It is a long concert of course but it features the very best of Morse up to that point in his career. Opening with a killer version of Momentum it is a promise of things to come. 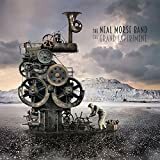 The musicianship is absolutely brilliant, Neal Morse on keyboards, guitar, Mike Portnoy on drums, Randy George on bass, Adson Sodr on guitar, Eric Gillette on guitar, keyboards, percussion, and Bill Hubauer on keyboards, violin, and sax. The concert was a New York night of nights of over 3 solid hours of prog excess. There are some amazing treats to delight in such as Author Of Confusion with Gentle Giant like acapella on the live stage, and the Testimony Suite (Sleeping Jesus, Prince Of The Power Of The Air, The Promise, Wasted Life) is the very best of arguably the greatest Morse album. Thoughts Part 5 never disappoints and the utterly brilliant The Conflict from Sola Scriptura is amazing. The Question Mark Suite (The Temple Of The Living God, Another World, Entrance, Inside His Presence) is of course a definitive highlight and the wonderful World Without End is unforgettable. A bit of fun can be had with Portnoy at his silliest on The Osmonds' Crazy Horses, perhaps best forgotten. But the concert culminates in a praise to God with the Christian inspired Sing It High and King Jesus. The DVD is well filmed and worth a look especially the behind the scenes tour vid bonus feature: A Long Strange Journey - Tour Documentary that has been edited By Randy George. Overall this is a masterful musical journey showing the greatness of Morse and his band, definitely worth checking out, and one of my favourite concert vids. 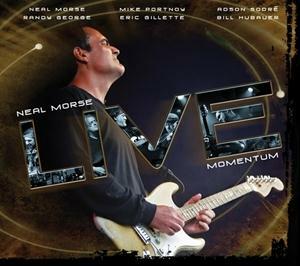 Post a review of NEAL MORSE "Live Momentum"